Royal collection set. 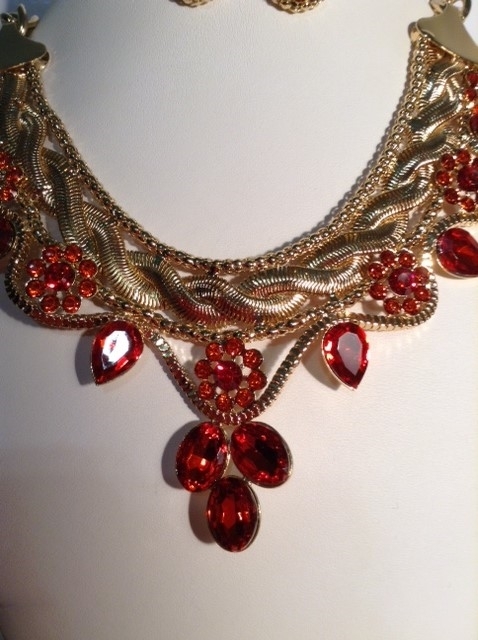 Red stones blend in gold chains creating an elegant look. Perfect for evening attire or the runway.